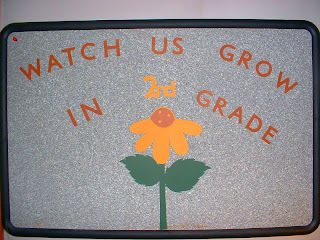 I had an idea for a bulletin board and this is what I came up with. I just love how it came together. I used Cricut Craft Room with the following cartridges: Walk In My Garden, Sans Serif, Wild Card and George and Basic Shapes. The leaves I used from Wild Card Cartridge are 3.75 and welded to the letter "I" from George and Basic Shapes which is 10.01. The flower top is cut at 6.0 and the center of the flower is cut at 2.1. I also added another layer to the flower which is difficult to see from the photo. I wanted to add dimension to the flower. 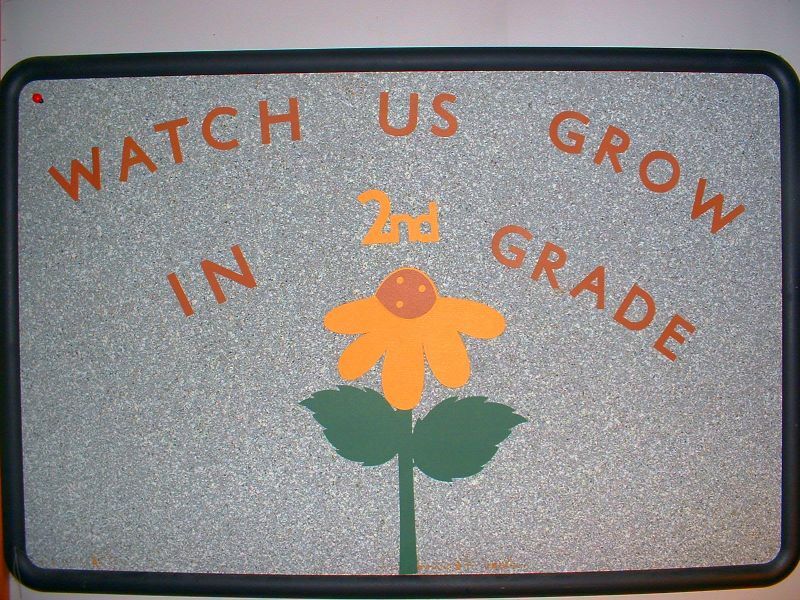 I just love that phrase "Watch Us Grow In 2nd Grade"
This bulletin board will be going to a very special room. I am very excited to share. Thank you so much for stopping by. Have a wonderful day, be sure to stop back I will have a few other projects to share with you. Very cute Leah... I'm sure the classroom will love it.